The A-dec 300 is setting a new benchmark for optimal ergonomics, smart efficiencies and lasting value. The package is designed for the health of your practice because your every movement counts, every detail matters. The left/right compatible assistant’s arm features four pivot points to place instruments exactly where you want them. It rotates around the back of the chair you gain an obstruction free configuration that the patient never sees. The A-dec 300 Dental Chair come with a 5 year warranty. Click the link below to see a vitual tour of our dental equipment showrooms near Gatwick where you can view the all new A-dec 300. Compare and contrast with the entire range. OFFERS: View A-decs current promotions for Jan-Jun 2019. 'I would just like to say, on behalf of all the Byrne family, how delighted we all are with the service you have given us. Your guys have been brilliant and we are so impressed with everything that you have done. The surgery looks fantastic and we couldn't be more pleased. We offer a 'no obligation' design and planning consultation at your dental practice or on site. We will provide you with CAD layouts and 3D visuals, all to help you visualise how stunning your new project can be. With every project we invest much time, care and commitment. The Hague Engineering Team are dedicated in providing effective and efficient dental equipment servicing and repairs. When Jim Hague set up in 1996 is aim was clear to help ensure your downtimes are kept to a minimum. If you are ensure which dental chair package would suit you best, why don't you take a few hours to visit our Equipment Showrooms. 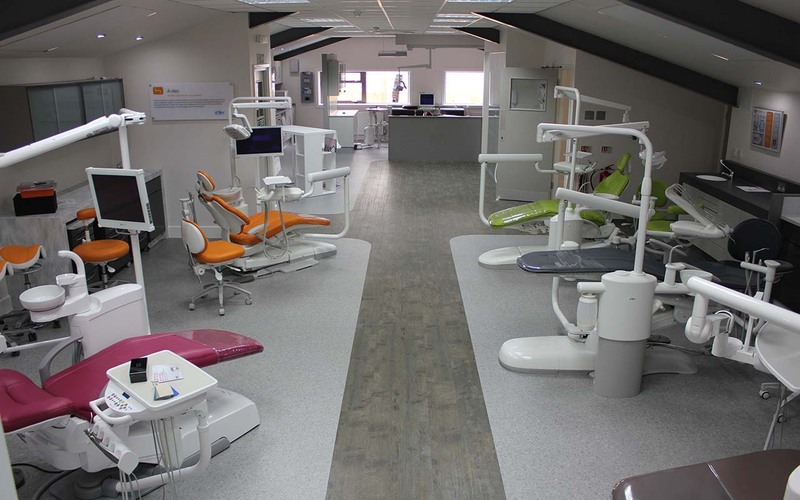 View the entire A-dec and Belmont ranges under one roof. We have all of our bespoke dental cabinetry ranges on show, medical grade flooring, reception desks and furniture and more. Appointments include evenings and weekends.